Stayokay Den Haag (The Hague) i Haag, Nederland: Bestill nå! 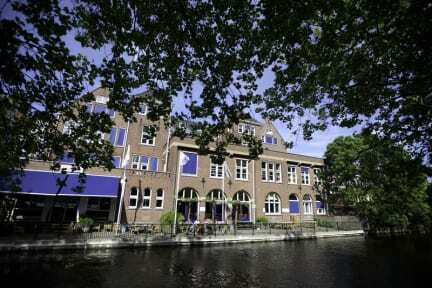 Stayokay has 2several hostels throughout the Netherlands and is part of the Hosteling International network. 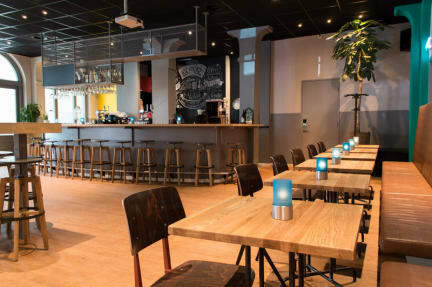 You'll find our hostels in the cities Amsterdam, Rotterdam, Haarlem, Maastricht and Den Haag, but also at the beach, in the woods and along the water. Stayokay hostels are housed in different unique buildings, ranging from modern facilities to castles or country houses. No matter where, you will find a relaxed atmosphere, giving you an opportunity to meet fellow travelers.